*A remarkably great blend of RPG and dexterity games. *Despite great simplicity in its main mechanics, there’s a fantastic amount of depth. *Is such a great homage of the games it takes inspiration from that it’s easy to build tales around, whenever something goes right or very, very wrong. *Needs a Catacomb Lord with a strong understanding of the semantics of the rules in order to ensure the pace of the game does not suffer. A wordy opinion: Isn’t it just a bit ridiculous that in order to move about or attack you have to roll dice? Can’t you do something more practical like fling your entire body at an enemy and kind of hope for the best. It’s a concept the minds behind Catacombs decided would be best for all budding adventurers, and whilst it never really ensures the safety of intrepid heroes, it does guarantee some good laughs. Catacombs lets 1-4 players take on the role of 4 heroes making their way through the crypts of Stormtryne in a bid to find its malevolent Overseer. A Catacomb Lord summoning armies of minions to defend themselves from the blades, beacons and beaks of justice coming for their head. In Catacombs, players will be traversing through a series of rooms or ever-increasing difficulty filled with monsters, traps and PILLARS. So…so many pillars, and they’ll be slicing yet not dicing their way through the darkening halls of the catacombs because their actions aren’t determined by the roll of a D whatever, but the flick of a finger. In the red corner are 1-4 players taking on the role of four heroes, each with varying stats, items and abilities, but all sharing one goal: defeat the Catacomb Lord. In the blue corner is 1 player acting as the Catacomb Lord…all alone. Well, apart from the massive army of minions they’re about to let loose on the heroes. So not a role for the social. Maybe for the odd. Rush Shots: Players flick their piece across the board. If they hit anything, then nothing happens. Melee Shots: Players flick their piece across the board. If they hit an enemy, then their adversary takes a point of damage. Ranged Shots: Placing a missile (arrow or spell) close to their piece and flick away. If it hits an enemy, they take one point of damage. Once all the heroes have taken shots, the Catacomb Lord chucks their minions at the heroes attempting to kill them. If the Lord kills the heroes before they get to them, then the Overseer reigns supreme. If the heroes reach their Lair and take them down however, victory goes to the noble warriors. That’s…pretty much it, but Catacombs manages to pack so much power into one finger. You can have poison shots, petrify shots, stun shots, fear shots, critical shots developed from RPG terminology that everyone should be familiar with. When you’re not flicking, you can buy a variety of items that can give your characters unique skills and abilities. There’s so much you can do within such simple means and we haven’t even got into how things can go wrong in a game of Catacombs. I tend to go easy on dexterity games, because anything that goes wrong with them, it just lends to their greatness, usually through the means of hilarity. It’s a rather cheap safety net if I’ll be honest. But here, whenever something goes wrong, it just lends so much character to the game, made even funnier when you take your objectives into context. We had what seemed like hundreds of ridiculous tales of calamity come out of just one game of Catacombs, as it has you all guffawing at the shots that should’ve worked and applauding the ones that somehow did. If there’s one thing I’d advise those sold on the idea of Catacombs, it’s to study up on the rules before your first game (as anyone would, I’d imagine), and then don the cape and act as Catacomb Lord, overseeing everything. The rulebook is a series of walls of texts which, whilst highly detailed, can be a huge nuisance when you’re looking for the slightest rules clarification to move the game forward. If you can effectively act as a DM, it’ll make the game run much, much smoother. I could go on about the surprising depth of the gameplay, the sheer amount of substance that’s been fitted into a game so simple. Yet to do so would mean missing the point Catacombs does so well. It manages to distill all the RPG elements we’ve grown used to into a format that is rollicking good fun. I’m not entirely sure who Catacombs wouldn’t appeal to. For tabletop veterans, it’s a wily test of dexterity or skill. For newcomers…well, it’s just a bit of a laugh really, and a ridiculous giggle riot at that. As long as you’re family or friends are happy roleplaying as pucks for about an hour, it’s nigh on impossible not to uncover the fun that lies in just one game of Catacombs. My kids and I love playing Catacombs. The artwork by Kwanchai Moriya feels whimsical, but also captures both the heroes and fiends. The components are solid. When you first open the box, set aside 15 – 20 minutes to sticker everything (if you have helpers). There are LOTS of pieces, including MANY cards. I separated classes of cards and tokens into sandwich baggies, which helps speed along set up. If you throw all of the pieces into one or two bags, plan to spend a few extra minutes each game finding all the right bits. Gameplay consists of flicking disks. Though the mechanic is simple, I haven’t won on the adventurers’ team yet (chalk me up for one win as the Catacomb Lord). 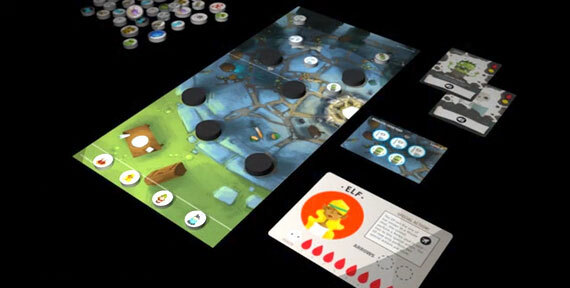 Explaining the cards and abilities—and how often powers and items can be used—might challenge beginners, but even experienced casual gamers shouldn’t have any trouble figuring out the rules and mechanics. Trying to decide whether to risk a long shot to take out a challenging monster before it can wreak havoc can be tense. Figuring out when to use one-time or one-time-per-room powers occasionally causes similar nail-biting moments. If you play as the Catacomb Lord, it’s hard not to chuckle over the imminent demise of the heroes, especially as they reach the Level 2 room and you start picking which monsters to sic on them. My kids and I played the game five or six times over two days without tiring. I’d like more room boards, but there are a reasonable selection to start with (I might have to pick up Cavern of Soloth, but not sure how many boards it adds). 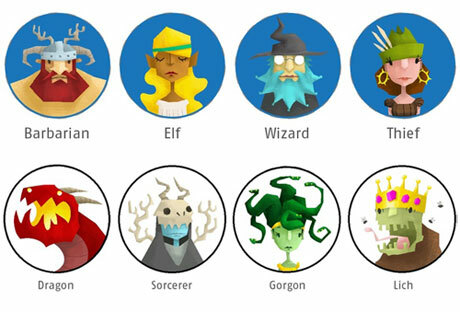 The base selection of heroes should suffice, but we grabbed the expansion heroes as well (Chicks in a Catacomb). It’s almost too many heroes, but some of the extra perks are welcome. 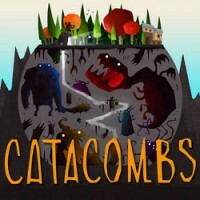 Add a Review for "Catacombs (2ed)"